For other people named David Alvarez, see David Álvarez. David Alvarez (born May 11, 1994) is a Canadian dancer and actor who was one of the original Billys in the Broadway production of Billy Elliot the Musical. He is a Tony Award winner. Alvarez was born David Alvarez-Gonzalez in Montreal, Quebec, Canada, to Cuban parents. His father, David Alvarez-Carbonell, is a professor of biology and chemistry, while his mother, Yanek, is an actress and director of theater. His first languages were French and Spanish. He moved to San Diego with his family when his father took a job at The Scripps Research Institute. David began taking classical ballet more seriously at the California Ballet. In 2005, Alvarez received a full merit scholarship to the Jacqueline Kennedy Onassis School at the American Ballet Theatre (ABT) and his family relocated to New York City. While at ABT, Alvarez danced feature roles in The Nutcracker at the Kennedy Center Opera House and The Sleeping Beauty at the Metropolitan Opera House. Currently, he continues his ballet training at ABT. In 2008, Alvarez was listed as one of the top 10 young ballet dancers to watch by Dance Spirit Magazine. To complement his dancing and acting skills, Alvarez has been training in classical piano, since 2006, at the 92nd Street Y School of Music, where he was awarded the Recanati-Kaplan merit scholarship. He currently lives with his parents and two sisters in the Upper East Side, and attends Manhattan's Professional Performing Arts School. Alvarez is one of the three boys originally cast to play Billy in the Broadway production of Billy Elliot the Musical, along with Trent Kowalik and Kiril Kulish. He needed to study tap, acrobatics, voice and acting for the role and spent July 2007 through March 2008 preparing. Billy Elliot the Musical began previews in New York on October 1 and officially opened on November 13, 2008. His first preview performance was on October 2, 2008. He played his final performance on January 3, 2010. Alvarez's portrayal of Billy Elliot has been highly praised by the critics, including Ben Brantley and Claudia La Rocco of The New York Times and Charles McNulty of the Los Angeles Times. Alvarez has been featured on Live with Regis and Kelly, The View, Sunday Morning on CBS News, The Today Show, Canada AM on CTV, CBC News, Despierta America on Univision, and at the 62nd Tony Awards ceremony. 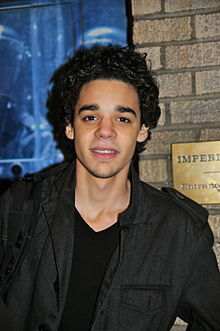 Alvarez, jointly with Kiril Kulish and Trent Kowalik, won the Tony Award for best actor in a musical. Billy Elliot was nominated for 15 Tony Awards, including Best Musical, and won ten. Alvarez left theatre to serve in the US Army. Following a service of two and a half years with the 25th Infantry Division he returned to Broadway, becoming swing in a production of On the Town. On January 14, 2019, it was announced that Alvarez would be playing the role of Bernardo in Steven Spielberg's adaptation of West Side Story. ^ Globe and Mail. Young Montrealer wins Tony Award. Printed June 7, 2009. Retrieved June 8, 2009. ^ "David Álvarez, 14, goes Broadway". nydailynews.com. ^ "All applause for Alvarez". winnipegsun.com. ^ "Theater review: 'Billy Elliot' on Broadway". latimes.com. 13 November 2008. ^ Kourlas, Gia (April 24, 2015). "David Alvarez on 'Billy Elliot,' the Army, and 'On the Town'". The New York Times. ^ D'Alessandro, Anthony (January 14, 2019). "Steven Spielberg's 'West Side Story' Finds Its Maria, Anita, Bernardo & Chino". Deadline Hollywood. On the Town is a musical with music by Leonard Bernstein and book and lyrics by Betty Comden and Adolph Green, based on Jerome Robbins' idea for his 1944 ballet Fancy Free, which he had set to Bernstein's music. 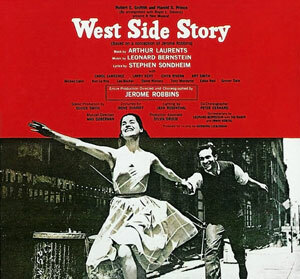 The musical introduced several popular and classic songs, among them "New York, New York", "Lonely Town", "I Can Cook, Too", and "Some Other Time". The story concerns three American sailors on a 24-hour shore leave in New York City during wartime 1944. Each of the three sailors meets and quickly connects with a woman. 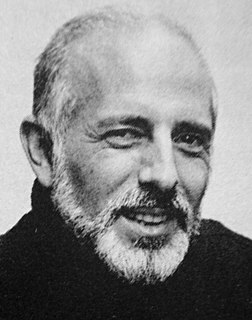 Jerome Robbins was an American choreographer, director, dancer, and theater producer who worked in classical ballet, on Broadway, and in films and television. Among his numerous stage productions he worked on were On the Town, Peter Pan, High Button Shoes, The King and I, The Pajama Game, Bells Are Ringing, West Side Story, Gypsy, and Fiddler on the Roof; Robbins was a five-time Tony Award-winner and a recipient of the Kennedy Center Honors. He received two Academy Awards, including the 1961 Academy Award for Best Director with Robert Wise for West Side Story. A documentary about his life and work, Something to Dance About, featuring excerpts from his journals, archival performance and rehearsal footage, and interviews with Robbins and his colleagues, premiered on PBS in 2009 and won both an Emmy and a Peabody Award the same year. Lar Lubovitch is an American choreographer. He founded his own dance company, the Lar Lubovitch Dance Company in 1968. Based in New York City, the company has performed in all 50 American states as well as in more than 30 countries. As of 2005, he had choreographed more than 100 dances for the company. In addition to the company, Lubovitch has also done creative work in ballet, ice-skating venues, and musical theater notably "Into the Woods". He has played a key role in raising funds to fight AIDS. Kiril Jacob Kulish is an American actor, dancer, and singer who is best known for portraying the title role in the original American production of Billy Elliot the Musical.